I have wanted to attend the African School on Internet Governance (AfriSIG) ever since I participated in the Internet Governance Forum (IGF) as an ISOCYouth@IGF fellow last year. It was through this formative experience that I first developed a passion for internet governance. 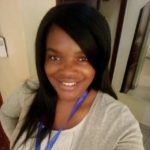 Even with my limited background in the field, I decided to organise the Arusha Women School of Internet Governance (AruWSIG) and the Tanzania School of Internet Governance (TzSIG) with the hopes of sharing my newfound knowledge with my community. When I received confirmation of my acceptance to AfriSIG, I was overwhelmed with excitement, realising that this would be an invaluable opportunity to improve and grow the interventions I currently coordinate. I was looking forward to seeing how sessions are facilitated, better understanding multistakeholder processes and learning about the roles that gender and access play in internet governance. Ultimately, my high expectations were exceeded thanks to the interactive, learner-focused and engaging way in which the school was conducted. 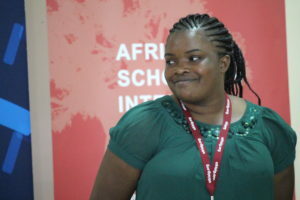 The school was preceded by a workshop on collaborative governance delivered by the Internet Society (ISOC). This workshop outlined the key foundations of governance and set the pace for the school. Through the use of different collaborative exercises and role plays, we explored the art of negotiation and multistakeholderism. For example, we conducted a negotiation exercise where each of us was assigned a role. In this particular exercise, I played a tech company, which meant I had to see things from the perspective of a business owner. Each participant researched their roles and assumed a position that fit their characters. We then argued, presented our respective positions and established our Best Alternative to a Negotiated Agreement (BATNA) in order to reach a consensus that was fair to all stakeholders. The first day began with an introduction to how the internet works. This is when I realised that internet governance sure has a lot of acronyms, but thankfully, we were given a list of them to refer to. During this session, we learned about internet architecture, core protocols and standards, and we had the chance to think about who governs the internet. We also talked about the history of the internet and important milestones in web development before discussing the World Summit on the Information Society (WSIS) agenda and current internet governance issues. Finally, we were introduced to key organisations addressing internet governance, which include the Internet Corporation for Assigned Names and Numbers (ICANN), ISOC and the United Nations IGF , among others. This helped me to understand the key role of ICANN in “names and numbers,” the domain name system (DNS) and policy development. After covering the key concepts of internet governance, we then moved on to the topic of domain management, discussing top-level domains (TLDs), including generic top-level domains (gTLDs) and country code top-level domains (ccTLDs). We discovered that you can only lease TLDs, you cannot buy them. During an engaging discussion on ccTLDs in Africa, we explored why their uptake and use remain a challenge in many African countries because of barriers such as high costs and a lack of awareness. Another issue we touched on was access, bringing to light the fact that the majority of communities in Africa remain unconnected. Even if they have coverage, they often lack connectivity. The community network approach, however, could play a significant role in connecting the next billion. We built on the example of Zenzeleni Networks in South Africa and tried to address the big questions of sustainability and effective business models for community networks. We also learned about , a research project on newly connected communities, which further explores the challenges that communities face even after gaining access, such as a lack of skills, devices and supporting infrastructure. Finally, we had the panel on “Gender and Internet Governance”, which I had been particularly looking forward to. This presentation delved into different power dynamics and the gender spectrum. Since the internet enables participation and holds great influence, it’s important that women play an active role in internet governance and policy decision making. Though the internet has provided women with a platform for empowerment, it is still not a safe space due to the prevalence of online gender-based violence. The Feminist Principles of the Internet are of particular interest in combating this challenge and definitely something that women working online can continue to build on. The principles include access to the internet, access to information, movement building and addressing online violence, among others. I plan on including this document as part of the AruWSIG reading list. On the last day, we delved into multistakeholder approaches to internet governance by looking at case studies from different national internet governance forums. This session proved helpful to me as a coordinator of the TzIGF seeking to improve stakeholder engagement and strengthen the internet ecosystem in Tanzania. We also learned about the key principles and various resources needed to organise a multistakeholder internet governance forum. Another topic we discussed was how to engage grassroots communities in internet governance through offering education on policy and digital citizenship.